When the The Clone Wars debuted, it introduced two female characters to offset the male dominated focus one would expect from a side of villainy that was exclusively male and a protagonist heroic side which was almost exclusively male. One was the now beloved Ahsoka Tano, an apprentice and padawan to Anakin Skywalker, and the other was an apprentice to the Attack of the Clones antagonist, Count Dookus, Asajj Ventress. By the conclusion of the television show, a premature ending brought on by the purchase of Lucasfilm by Disney, both women had undergone significant personal character arcs which left them in much different places than where they had begun. Ahsoka Tano, a rising Jedi padawan, walked away from the Jedi Order. Ventress, likewise, broke away from Dooku, seeking a new life and path outside that of a Sith apprentice. The show ended, however, with no firm resolution on what happened to either woman. 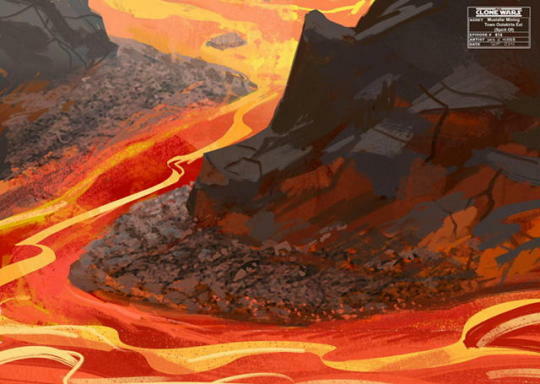 Tano benefited from being brought back for Disney’s Star Wars: Rebels show, but Ventress was absent. Instead, it became very clear that Ventress’ fate was one that was going to be addressed in an upcoming story arc on Clone Wars, which was generally known as the “Dark Disciple” story arc. Production on the “Dark Disciple” episodes went so far that scripts were prepared and crude animated story reels were created, like animated storyboards. While some production art has been released, Lucasfilm has not released all the story reels (though it has previewed snippets), but has instead pursued a different path. The scripts, mainly written by Clone Wars veteran Katie Lucas, were handed over to the bestselling sci-fi and fantasy author, Christie Golden. In her hands, the scripts became a novel and the final chapter of Asajj Ventress’ life was published, rather than aired, for the character’s fans to enjoy. Dark Disciple does not feel like a novelization of a television show or movie, except for those who already have something of an ingrained sense on how The Clone Wars episodes were produced. This is not a negative, but it results in a story that’s not as focused as one would expect on one character or another, but always keeps in mind a greater ensemble. As a result, while Dark Disciple is an essential entry on Asajj Ventress, it also dedicates quite a bit of time to Quinlan Vos, a Jedi Master, and to a much lesser degree, Jedi Council and Obi-Wan Kenobi. This leads to a slight disappointment that not more time is given over to Ventress, but it makes more sense when one realizes that it’s a story not wholly dedicated to her, but also to the aforementioned characters. 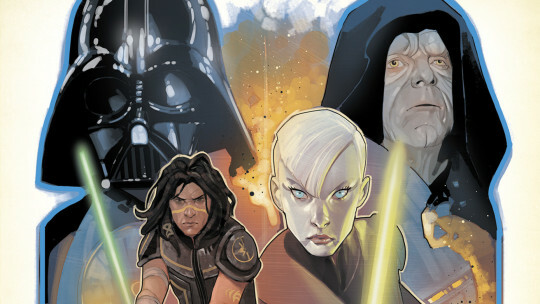 It’s as much a novel of Ventress, as it is Quinlan Vos, and a lesson in how even a Jedi Master can be led astray and seduced by the Dark Side of the Force. 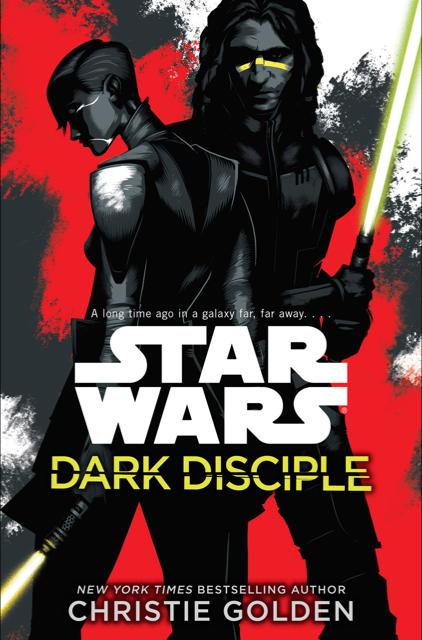 Dark Disciple was originally released in the fall of 2015 with its paperback printing coming out in March, 2016. On that timeline, we read Dark Disciple with the background context of Rebels’ “Shroud of Darkness.” “Shroud of Darkness” featured Kanan Jarrus, Ezra Bridger, Kanan’s padawan, and Ahsoka Tano, traveling to a Jedi temple on the planet Lothal a couple decades after the events of Dark Disciple. At the temple, Ezra has a vision in which he holds a conversation with Yoda about the nature of power. In that discussion, Yoda confesses that the Jedi Order essentially became shrouded by the Dark Side because of their role in the Clone Wars and their pursuit of power. Dark Disciple begins in the midst of that war with the Jedi Council confronting yet another terrible massacre of innocents perpetuated by Count Dooku and the Separatists. The question arises, how can the Jedi bring the war to an end and prevent millions more from suffering the same fate. The idea arises, promoted by Master Mace Windu, to assassinate Count Dooku. From the beginning, the Jedi Council is hesitated to go forward with this very much un-Jedi way. The Jedi way is to capture and put on trial, not execute one’s enemies. The counter argument, pushed by Windu, is that without this powerful and cruel leader, the Separatist war effort would collapse and the war would end much, much sooner. The discussion happens generally outside the audience of Anakin Skywalker, but coincidentally, it’s a point blank execution of Dooku by Anakin which starts Skywalker’s final spiraling collapse to the Dark Side in Revenge of the Sith. Against Yoda’s own best judgment, the Council decides to go forward with the plan and it’s under the advice of Obi-Wan Kenobi that Quinlan Vos is recommended for the job. Vos had previously been introduced to viewers of The Clone Wars early on in the show, a characteristically upbeat character and in this case, presented as having a natural ability of going undercover and pulling off difficult images. No one on the Council, however, believes that Vos alone can take down Dooku, and for that purpose, they assign the task to Vos to find Asajj Ventress and gain her assistance in the job of assassinating her former master. Fans of The Clone Wars will know that not only has Asajj previously tried and failed to take down the Sith Lord, but that Dooku ordered what amounts to the genocide of her people in retaliation. Thus, there most likely is no soul more willing to adopt the idea of killing Dooku as Ventress. Vos happily accepts the opportunity and his first encounter with her follows almost immediately her introduction in the novel, in the midst of a pursuit of a bounty. It’s a rough first meeting for both, but eventually, Quinlan manages to convince the former Sith Apprentice to accept him as a partner in her bounty hunting ventures. What follows is a fine example of the dangers poised for Jedi who make personal attachments, be they prophesied children of virgin birth or just a fellow with a yellow stripe tattooed across his face. Attachments invoke emotions and emotions can lead a Jedi down dangerous paths. In this instance, it’s a romance that gradually blossoms between Ventress and Vos, which leads to Vos admitting to his true mission once Asajj correctly identifies him as a Jedi. A certain perspective of Dark Disciple can cause one to ponder who the true subject of the novel is, Vos or Ventress, and in reality, it’s really a story about both characters which gives and takes in terms of time dedication to either. In the first half of the partnership, Ventress often finds herself fighting against becoming someone who accepts what might be best ‘good’ or ‘warm’ emotions towards Vos. She wants to exist as the personification of cold and emotionless, and much of Dark Disciple involves her own slow succumbing to this inevitable. Once Vos confesses his original intent, unsurprisingly, Ventress agrees to help him assassinate Dooku and puts events into motion to facilitate this dark deed. However, she demands Quinlan undergo further training, if he is to have any success in a fight against the leader of the Separatists. This training, which Vos agrees to, involves learning to harness the Dark Side of the Force without completely giving one’s self over to it. Ventress, herself, dwells in this gray area of being a user of the Dark Side of the Force but not as a Sith. Indeed, this furthers the growing promotion within the Star Wars Expanded Universe that Force users are not bilaterally either Jedi or Sith. Most recently, the previously mentioned Ahsoka Tano has been quite determinedly painted as a user of the Light Side of the Force, but one who is not a Jedi (or bound by their rules), and on the Dark Side of the matter, Kylo Ren of The Force Awakens, who it has been asserted is not a Sith. For the purposes of the Jedi, however, once Quinlan agreed to pursue this path, it is one beyond the rules and laws of the Order. He is sacrificing his place as a Jedi Master to not just pursue the successful completion of his mission, but to secure a future of romantic love with Asajj afterward. Under Ventress’ tutelage, Quinlan becomes the titular ‘dark disciple’ and passes her test of drawing upon the Dark Side’s strength, in the fashion of the Night Sisters, by ruthlessly killing an ancient and helpless native creature of Dathomir. This deed done, the two set off to kill Count Dooku on his home planet in the midst of a gala reception being held in his honor. The mission is disastrously unsuccessful with Ventress barely escaping with her life and Vos not escaping at all. While Dooku’s former apprentice recuperates, the Count subjects Quinlan to repeated torture and finally exposes him to the truth of one lie that Ventress had refrained from giving her lover: Asajj’s own role in killing Vos’ former Jedi Master. This fact pushes Vos over the border from user of the Dark Side to one consumed by it, and in essence, turns him into a Sith apprentice to Dooku. Dramatically, for months Vos becomes an enemy of the Republic and the Jedi, aiding Dooku in his battles against both, until the Jedi, along with Ventress’ help, launch a successful rescue mission. They save the former Jedi Master’s person, but not, in effect, his soul. 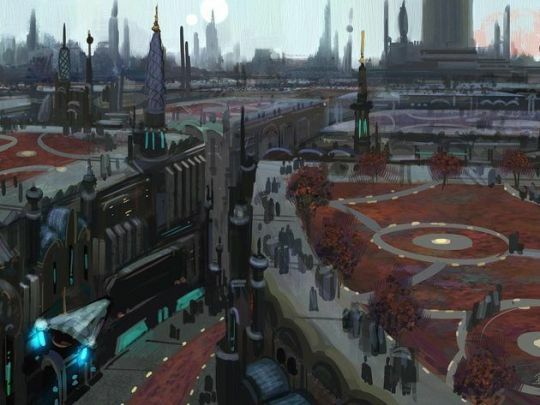 In the grand conclusion of Dark Disciple, Vos, Ventress, and Dooku end up together on a crystalline planet, home to a Separatist listening post. As they fight to escape the pursuit of the Jedi, Vos continues to mislead Ventress toward the need of keeping Dooku, who is at their mercy, alive. Eventually, Dooku takes advantage of this mistake and ambushes the pair. 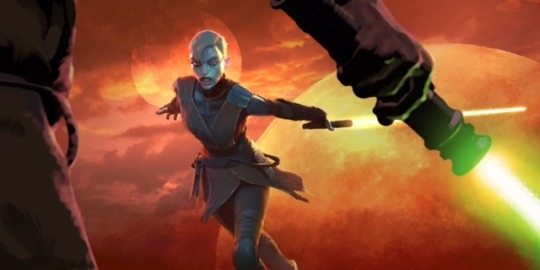 In this heart beat, the evolution of Asajj Ventress’ character is completed, as she essentially banishes her connection to the Dark Side and embraces the Light Side. It’s a transformation that arrives just in time for her to sacrifice herself for Vos, who in turn is finally pulled from the grips of the Dark Side by her loss. The conclusion of Dark Disciple is one written across a very tenuous path. At a glance, it would almost appear as if Asajj Ventress was essentially ‘fridged’ or the victim of ‘women in refrigerators’ trope in which female characters are often killed purely to advance the plot or a male character’s own emotional journey. Here, this is only narrowly avoided, due entirely to the attention given to Ventress’ character throughout the novel and the final moment of her life. It’s an extremely thin line, but it’s one that isn’t crossed. It’s also a moment that was achieved much more easily through the printed word, and it leads one to wonder how the animators might have sought to represent it. Dark Disciple, by Christie Golden, is a solid adaptation of one of the final, but never fully produced, story arcs from The Clone Wars. For those familiar with the show, it gives itself quite readily to the mind’s eye to envision, as if it were completed. Without seeing the screenplays, it’s hard to say what was added, what was loss, but it doesn’t truly matter. Golden accurately captures the characters of the show in her writing, which albeit is a little slow to get moving, but becomes hard to put down once it does. The greater theme of how Jedi fall is well told, as well the philosophical question of at what point is it okay to violate one’s own morality, be it personal or institutional (the Jedi Order), for the greater good. The harder question concerns Asajj Ventress, and whether her fate in Dark Disciple was an appropriate ending for one of the great women characters of the recent Star Wars Expanded Universe. Perhaps, it was felt that once her character arc became complete, there simply was no where else for the character to go. Regardless, that decision was undoubtedly not Goldens, and she should be relieved of any doubts that might arise from it. Instead, we can at least thank her for skillfully providing that send off as well as could be asked for, in an read for any Star Wars fan, and particularly, for any fans of The Clone Wars.